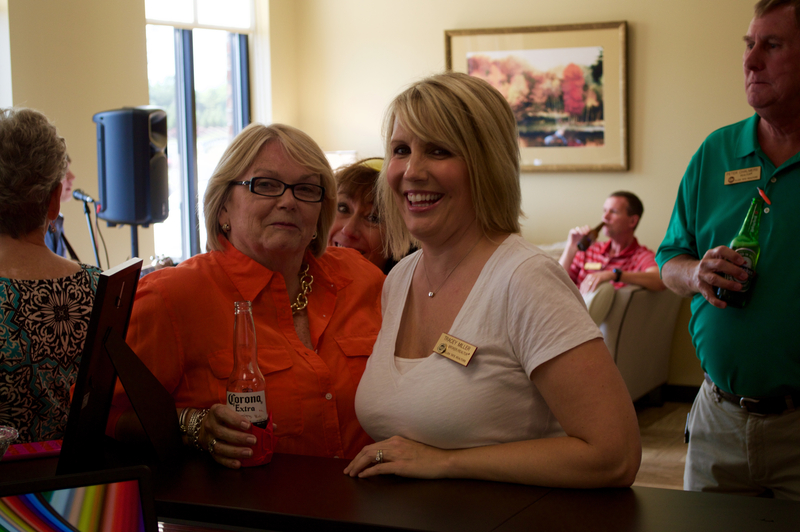 Customers, friends and local business leaders were on hand June 17 for an open house to celebrate the new location of the Fort Mill office of Allen Tate Realtors® at 870 Gold Hill Road, Suite 105, in Fort Mill. 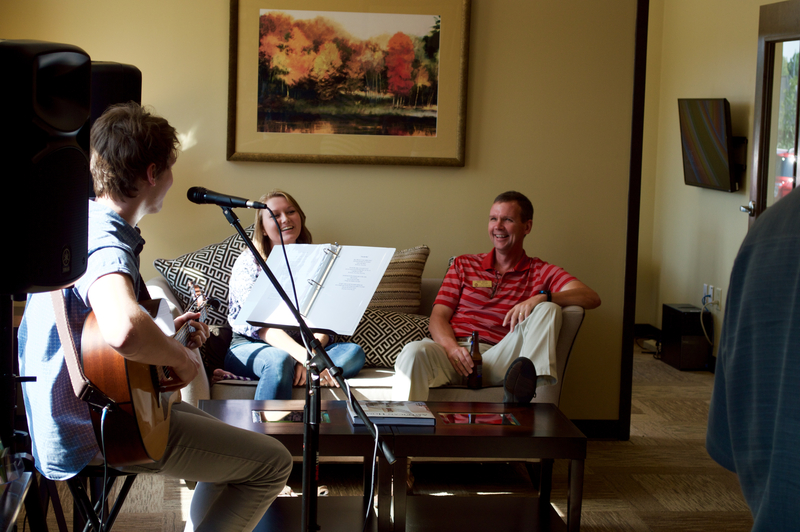 The event – themed “A Summer Gathering” – featured tours, prize drawings, refreshments and music by Nicholas Rash of Fort Mill. Guests were asked to bring donations for the Fort Mill Care Center, Foundation for Fort Mill Schools and the Humane Society of York County. A painting, Modern Sunflowers by Kristen Hampton of Fort Mill, was auctioned with proceeds benefitting these three community organizations. Allen Tate Companies President Pat Riley, Allen Tate Mortgage President Chris Cope, Builder Services Inc. President Mike LaRuffa, Master Title Agency President Pat Jackson and York County Councilman Michael Johnson were among those on hand for the event. 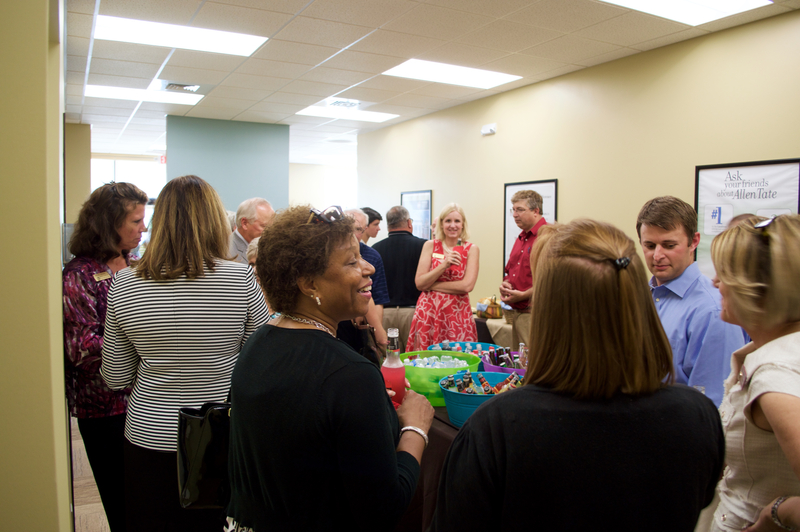 The office, which accommodates more than 35 Realtors® and staff who serve the greater Fort Mill area, opened in March. “This was a great event, full of fun, friendship and goodwill, where we could share our new office with our colleagues, neighbors and friends,” said Carol Hampton, Fort Mill branch leader.